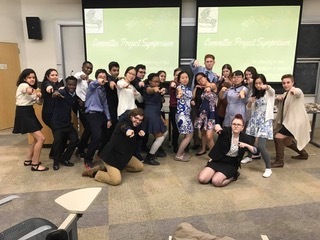 The EcoReps Program is for first-year students who wish to combine their living experience with sustainability efforts and education on campus. EcoReps arrive on campus a few days before their fellow classmates for training. They are responsible for educating students in their halls on environmental issues such as waste reduction and energy conservation through hall activities and events. EcoReps also receive two academic credits for their work. See the sustainability site for more information.